As the title sponsor of the World Surf League’s Bali Pro championship tour event, Corona is updating the previously announced “Corona Bali Pro” and renaming it “Corona Bali Protected”. This name change is aimed at sounding the alarm on one of the biggest threats to the survival of the world’s oceans: marine plastic pollution. It stands for the vision of turning Bali into a pilot project, a blueprint for solving this global environmental issue by implementing the Parley AIR Strategy. Last May, Corona made an ambitious commitment with Parley for the Oceans to protect 100 islands around the world from marine plastic pollution by 2020. In addition to this commitment, Corona and Parley are now inviting brands of the consumer packaged goods industry to join a task force with the objective of leaving a lasting legacy in Bali’s coastal regions through the implementation of the Parley AIR strategy - Avoid plastic, Intercept plastic debris, and Redesign materials and products. Beach cleanups with volunteers and ambassadors from Corona, Parley for the Oceans, and WSL PURE, the philanthropic arm of the WSL dedicated to ocean health. The cleanups will be organized in close collaboration with local communities, activists, and NGOs. 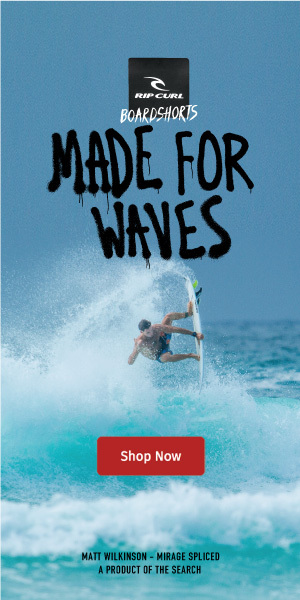 The Corona Highline specialty heat, a WSL-sanctioned surf competition featuring jerseys, surfboards andfins made from Parley Ocean PlasticTM. The Corona Highline specialty heat, a WSL-sanctioned surf competition featuring jerseys, surfboards and fins made from Parley Ocean PlasticTM. 100 percent single-use plastic-free events and activations with recycling programs on-site. The Komune Resort & Beach Club, an eco-friendly resort which will host the event, is already setting the example in Bali with a plastic-free philosophy and progressive recycling facilities. The Corona Bali Protected in Keramas, Bali, Indonesia will take place from May 27 - June 9, 2018.